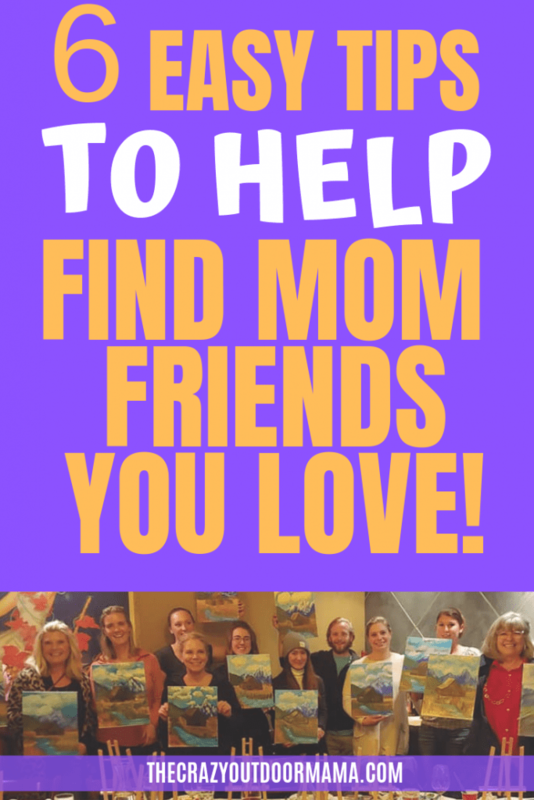 How to find mom friends and get into amazing mom meet ups! So this is how it’s supposed to work – you have your baby, everyone helps, you make besties at your local library story time and you have a sweet group of mom friends that you exchange funny memes with and have pinterest perfect mom meet ups. BUT, it’s likely that’s not how it happened! A lot of times, especially if you are the first of your friends to have a baby, or you’re in a new town, it can be pretty intimidating trying to find someone to actually talk to. Someone who will understand a screaming baby, who won’t look down on your crazy house, or heck… someone you even have anything in common to talk about now that you’re raising a little one! 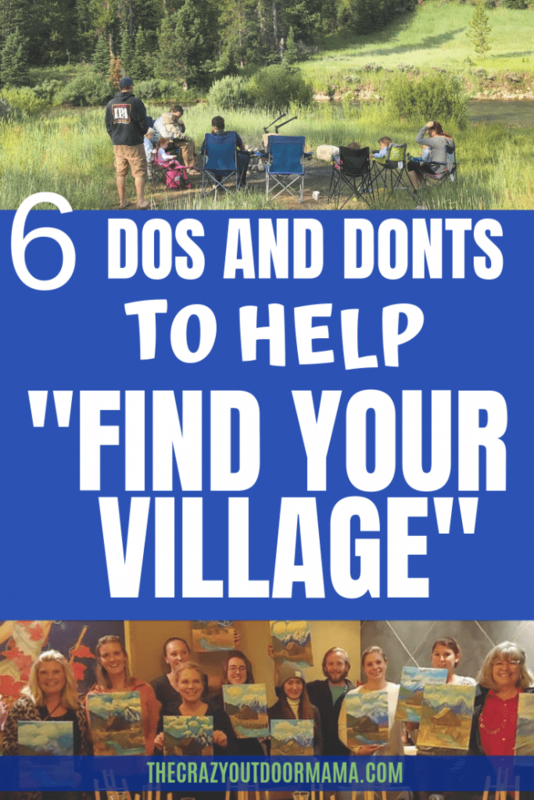 It’s so easy to get overwhelmed in the craziness of it all, and put finding your village on the backburner. But the sad part is when you desperately need that adult time, you often are at the end of your sanity and don’t have the time or energy to find them! I’ve been fairly lucky in finding an amazing group of women that are most definitely my village! But don’t get it twisted – I’ve also had my share of awkward attempts at connecting, nervousness about that first solo “mom night” and weird side glances even trying to start a conversation! 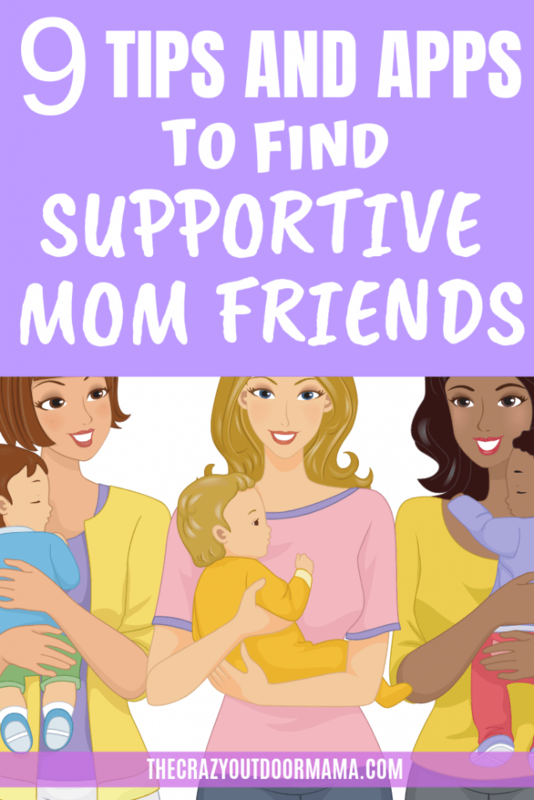 I wanted to go over what did, and DIDN’T work when it came to finding mom friends! When I look at this list, I realize there’s one thing in common – these are all events that are KID centered, and not based upon interests moms might have! Yea yea yea… we are all interested in our kids. But when you go to events like library hour, toddler gym etc, it’s pretty common that moms are absorbed in watching their kids, and don’t have the time or energy to talk. I’m not saying you can’t find anyone there – I just know I’ve tried talking to moms there, got a friendly answer, and they moved on! Library reading times – When you are a new mom, the first age group for these story time are usually 0-3. So imagine a bunch of moms trying to calm their kids and keep them from tearing books off the shelf while trying to have a conversation at the same time! TThey are not all like that (and I’m cool if that’s happening, mine certainly did that) it just makes it really hard to hold a conversation when everyone is super preoccupied with making sure their kid isn’t too loud or too destructive! Toddler Gym / Play – You may have something similar like this where you live – there’s a ton of toys in a gym, and the kids free for all! It’s a little more laid back than the library since nothing can be destroyed too bad. But the issue here is that moms take advantage of this for some me time! I’ve done it too when I have been overwhelmed! I take the kids somewhere safe with stuff to do, let them roam, and sneak some time on my phone to decompress. When I looked around the room, most moms either were looking down, or following their kids around and pretty busy. I tried to talk to some, but most gave me a short answer and continued to look at their phone. Daycare / Preschool – I’ve heard of daycare moms that are great friends, but I think that depends on if the daycare facilitates something like a “ Parent’s Night” where everyone gets together. Mine did not (they were home daycares though) and everyone is WAY too busy running late to drop off or pick up to talk! The only exception to this is actually becoming friends with the care provider or teacher! Home daycare setting are a lot easier for this – I still chat here and there to some of my son’s home day care ladies! 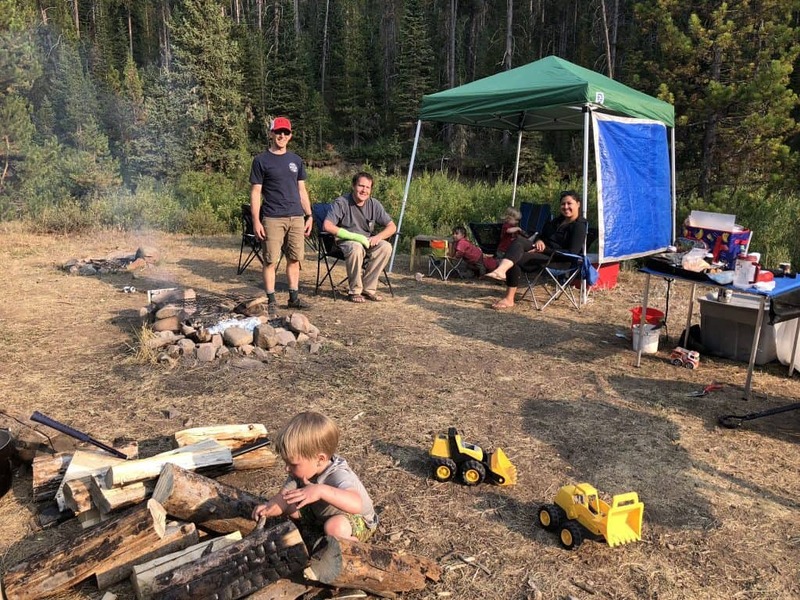 The brief time I had a home daycare in my own home, I met three wonderful families whom I have camped with and invited to every birthday party! A camp trip with one of the famillies I met through my home day care, and have had tons of fun with since! Here is what DID work for finding mom friends! The common thing here, now that I’ve looked over this list, is that each of these started with a meeting of people who have a known thing in common! Here’s another thing – you DON’T have to go to things with the kids to find mom friends! Sometimes just going to things that interest you will not only help your mental health, but you might make an amazing connection with someone that loves the same things as you! Related: If you have mom guilt for having to leave a little one behind to do something for yourself, check out these 5 positive thoughts to battle that mom guilt! Attending specific mom/parenting groups – For example, we have twins and looked on Facebook for a local twin group. Lo and behold, there was one and they meet up every now and again at a local park! This was great because we all already had something in common to talk about, without having to dig around to get there! When the conversation was easy to start, it naturally made it easier to talk about other things! We met two of our very good friends this way, who then invited us to a Halloween party where we met even more awesome friends! Some other ideas might include religious based, activity or hobby based group! If you are into hiking, check Hike it, Baby! to see if there is a local branch you can join! Attending events that had to do with MY hobbies – This is something super new for me, but I have met some nice people through going to things that I’m interested in! I know it might be hard to get that time for yourself, but if you can go somewhere even once a month, it is so worth it! 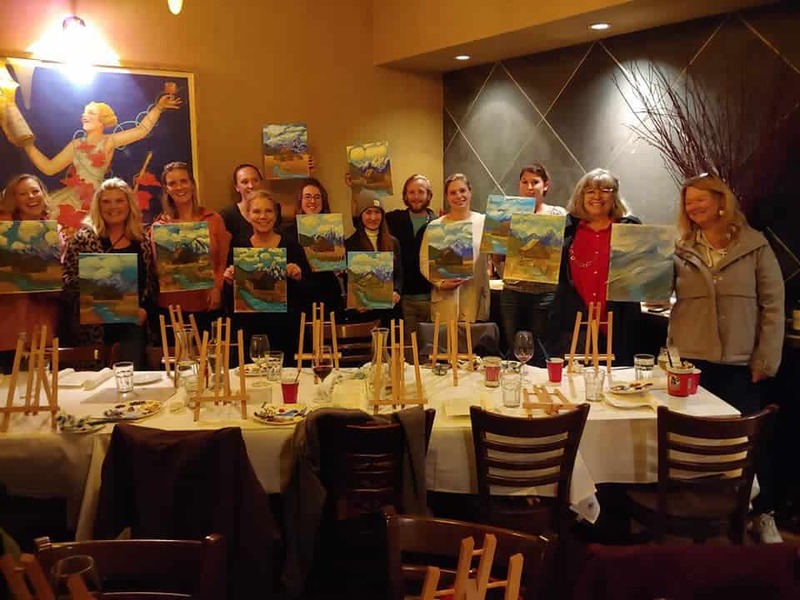 I attended a Paint N Sip (drink wine and paint a cool picture) with a friend I hardly ever saw, and we came out of it WAY closer! It’s nice because, again, you know what you have in common and can kind of branch off from there! Literally asking to hang out if you find someone local who seems cool – So I was so scared for a long time of meets up with new people! I didn’t want to seem clingy and ask to hang out “too soon” (whatever that means) but I didn’t want to wait too long to make solid plans to meet up and have life get busy and sort of just let it fade. I actually met up with a super cool family via Instagram this summer! I saw they were travling into my town, they had a similar aged kiddo and similar interests (hiking) so I just said let’s meet up! And it actually happened! And we had some AMAZING conversations about everything motherhood like always being needed and touched, feeling like we’re failing at being patient, and other major topics. We just met people! You would be surprised to know how many mamas, just like you, want another person to be honest with and just spill to! Even though she doesn’t live here, I feel like I could text her right now and talk about how overwhelmed I am with everything and not feel akward in doing so! On line groups – Ok, this is one to do only if you can’t find people locally! I’m not talking about typical mom groups, but more ones that are centered around interests you have! 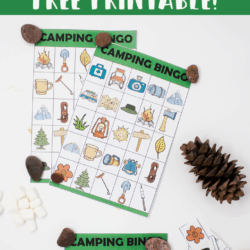 Whether that’s camping, blogging, writing, reading, or specific child raising ideas – you just might find someone you can talk to through these! 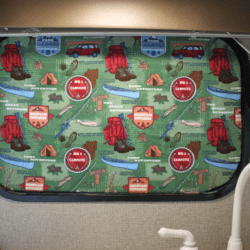 I am in a couple hobby groups (camping and blogging things) that I have really connected with others on! The Paint N Sip I mentioned earlier! It was a easy way to have great conversations over wine while having something to talk about if things got slow! 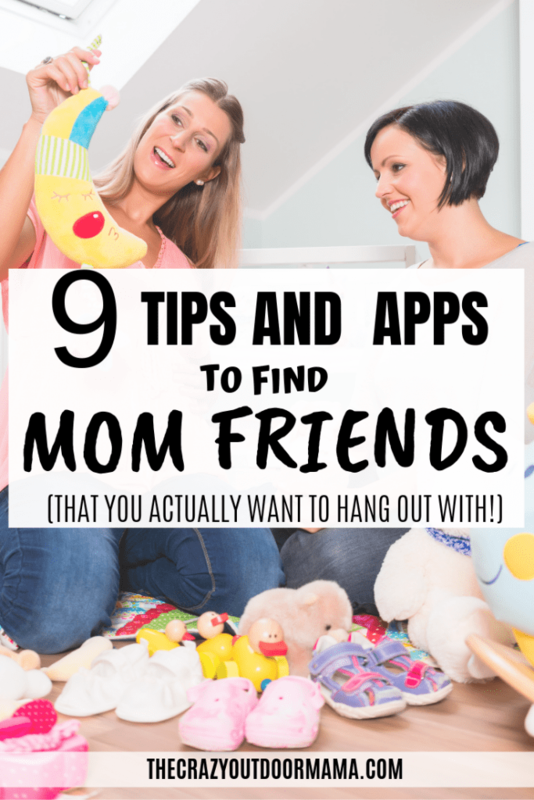 Mom friend apps you might love! I haven’t tried these, but they seemed to have amazing reviews and honestly would have been the next step had I not met my friends I have now. In fact, I will probably try them anyway because I love having lots of mamas to chat with! “Peanut” – basically a matchmaker for moms! Peanut is an app that looks at your interests and other things in your profile, and gives matches to other mamas you are likely to get along with! Smile Mom – Another app that finds local moms and assists in setting up play dates, chatting, and more! Mom Life – Again, an app that finds local moms, has chat groups and encourages meet ups. This one is a little different because there are other useful things such as pregnancy trackers and hospital bag checklists! I really like that this app also mentioned that it is moderated – no trolls or mom shaming allowed! 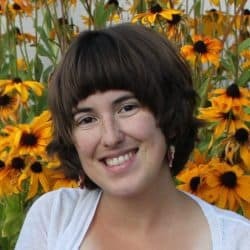 A website called “Meet Up” – I hadn’t heard of this website before, but apparently, it’s a common place to set up meet ups of all kind! They have a specific “Moms” area that can help you find the exact mom group you like! I actually found some non mom groups in my area that I might check out after exploring it a little! Don’t let it die! You don’t have to text all the time, or meet up all the time, but try to see them now and again! As tempting as it is to skip a party because you’re exhausted, or not take that first step towards scheduling your next meet up because you might feel awkward… do it! And if you really can’t make it, let them know you’re bummed! I know the feeling of being let down when you have your kids party or ladies night, and no one can end up coming that you were looking forward to. With kids, sickness is always a factor, so cancellations are going to be pretty common. Or maybe you are too damn exhausted, and no amount of coffee or redbull can help… Just let them know what’s going on! I can’t count the number of potential friendships I sort of let fade away. We do still chat, but it’s been so long since we hung out, I’d feel weird asking. Like years, guys! I figure each kids birthday party is another chance to reconnect, so don’t be disappointed! I happen to live in an area that requires people to work A LOT, and so sometimes it’s just hard with schedules, sickness, and little time off to meet up. I don’t get discouraged when things don’t pan out, you shouldn’t either! This article had some more great tips on why some friendships didn’t work and why others flourished! Times like these make me so thankful that I didn’t get discouraged when I got shot down trying to make mom friends! You will find your mom you click with, and usually more from there! You might also enjoy these articles on mamahood! 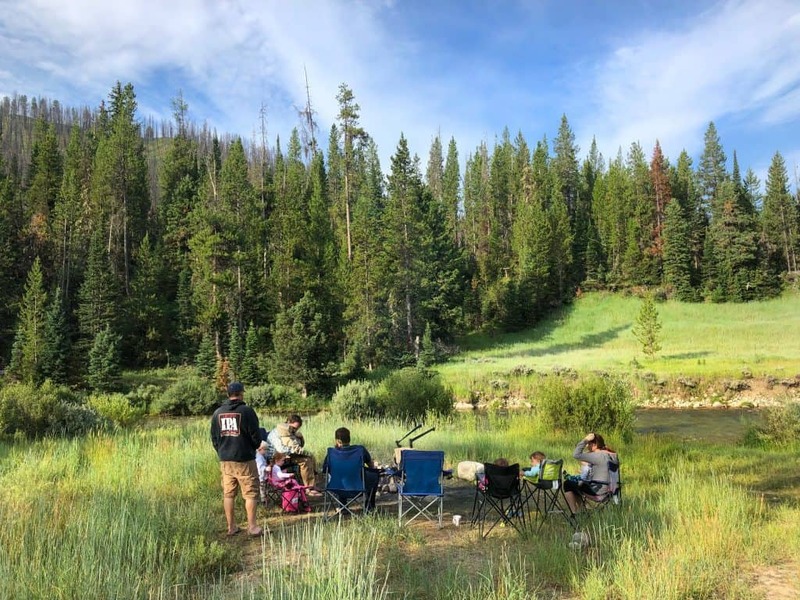 If hiking or camping is your thing like me, find out how to grow a love of the outdoors in your baby so that you can get more outdoor time and just bring them with you! Concerned about messing with your milk supply if you’re gone too long? Learn how to pump on the go by picking a portable pump as well as how to safely store your breastmilk while away from home! Learn the tips that have helped me become a better me, mom, and wife with these HAPPY SAHM tips!